HabiTech Systems, a GE Home Technologies authorized integrator, is pleased to introduce itself as the most powerful low voltage integration company in Northeast Florida. Since 1999, HabiTech has completed thousands of home integration systems on Florida’s east coast. Over the years, HabiTech has come to realize that today’s sophisticated new homeowners and homebuyers expect more; more quality, more convenience, and more choices. With 82% of new homes being built with structured wiring for home networking and distributed entertainment, and 62% with integrated security, the demand is there. HabiTech provides all of the latest electronic technologies which new homebuyers want: security, structured wiring, home network, multi-room music, home theater, total home control, central vacuum, and more. HabiTech has been recognized as one of the top 100 integration companies in the U.S., ranking 42nd in the country and 4th in the state. HabiTech also consistently ranks in the country’s top 30 structured wiring companies. HabiTech’s team of professionals is ready to work with your builder, architect, and interior designer to assist them in achieving your goals. HabiTech’s Management Team has assembled an array of dedicated and experienced people who take pride in their accomplishments. This management team keeps abreast of the industry and provides a steady course, navigating through this ever exciting time of technology advancements. The team provides distinct management and direction in all necessary areas of the home integration industry. The Design and Sales department is staffed with career employees who have accumulated decades of experience. This department is responsible for extensive client interviews to ensure the correct level of various systems to fit the homeowner’s lifestyle. Members of this team can recognize when things appear to be getting a little too complicated for the homeowner and take the appropriate direction. The years of customer relationships have trained this team to provide exactly what the customer wants and needs. Their goal is not to “sell” the homeowner. Their goal is to provide the exact level of system the home and family’s lifestyle requires, no more, no less. The Technical Installation Department works directly under the Installation Manager. These technicians have years of experience and receive ongoing training. HabiTech is proud of this department’s wealth of experience. Experienced not just in technology, but in customer relations and customer satisfaction. These three essential teams, along with many other HabiTech employees, have brought HabiTech to the forefront of the home integration industry. Ali is a Graduate of Duke University and has a Masters’ Degree in Business Administration. He attended the National Institute of Nuclear Sciences in Paris, France and received a Masters of Science Degree in Computer Science. After a decade of advancements with Schlumberger Technologies, American Management Systems, and Deloitte Consulting, Ali relocated with his family to Ormond Beach, FL to fulfill his ambition of developing a Home Technology Integration company. Ali started HabiTech systems in 1999 and since then the company has completed thousands of residential, commercial, and industrial integration projects in Florida. HabiTech provides all of the latest low-voltage services: Security, Structured Wiring, Networking, IP Telephony, Audio & Video, Control and Energy Management Systems. 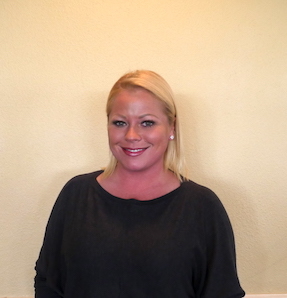 Michelle Jones is Office Manager at HabiTech Systems and has been with us since 2010. Prior to joining HabiTech, Michelle worked in the home construction industry for 7 years and in office management for over 10 years. Michelle attended the University of Central Florida where she studied Business Administration. Entering the Business field at the age of 17 through a high school program, Michelle developed her sense for business management through experience running a small office as well working on projects as a team member. Outside of Florida, Michelle has worked in Germany & Washington State where she held administrative positions with the military. She is also Arise certified which attributes to her exceptional customer service skills. As the Office Manager of HabiTech her main job functions include: overseeing day to day operations of administrative staff, handling HR matters, supervising accounting, consulting with other management as needed to aid in making the most informed and beneficial decision for the company, and serving as assistant to the CEO. Kristopher Levengood has served as HabiTech’s Sales, Marketing and Design Manager since 2013. An Alumni of Penn State, Kris has extensive experience working on in both the sales and tech departments. As a past technician he thoroughly understands the process of low-voltage wiring. As Sales, Marketing & Design manager, Kris' responsibilities include: developing and managing a professional sales and marketing team, setting sales goals, managing the sales pipeline, training sales and marketing staff, developing marketing material as needed, directing updates to IT, producing monthly managerial sales reports, conducting sales meetings, targeting key sales goals for the upcoming weeks, building client relationships, managing all sales and marketing correspondence with builders, and managing the RMR sales team. 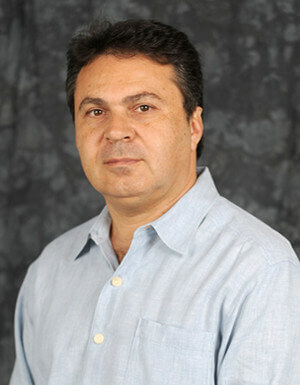 Jerry Soupal currently serves as North Division Market Manager. He joined Habitech in 2012 as a Sales Consultant and progressed into his role as North Division Market Manager in 2013. As NorthDivision Market Manger Jerry works with Habitech Builder partners and meets with their New Home buyers in the Jacksonville area. He assists Home Buyers with their Structured Wiring and Home Automation selections through Habitech. Jerry designs all Builder Model Homes to showcase our Habitech options. He works with Habitech Closing Coordinator to help insureseamless transition from new construction to move in. Jerry has taken an active role in coordinating communication between our Builder partners and Habitech Operations department to make sure all of our Builders expectations are met. Justin has been in the AV industry for over 20 years. 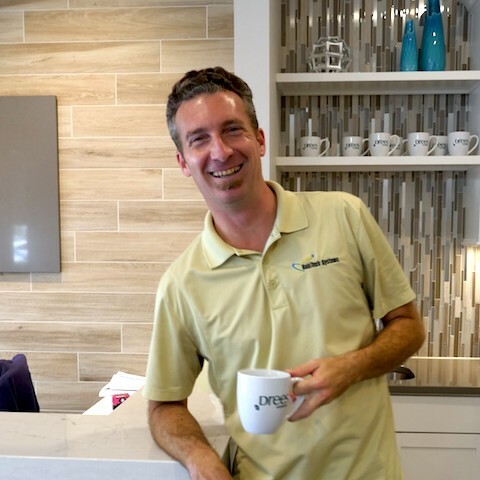 As an industry veteran he has been designing systems for some of the top homes and businesses in Northeast Florida. Justin’s experience as a technician, manager, designer and programmer in his earlier years gives him the knowledge to build detailed systems with peak performance. Justin’s promptness, follow up and attention to detail sets him miles apart from the competition. Joe MacClaren has worked on the Sales and Marketing team with Habitech Systems since 2014. He received his Bachelor of Science in Business Administration from the University of Central Florida. Throughout his career he has gained extensive experience working within the fields of real estate, finance and technology. Beginning in 2010 he began focusing his skills on fire detection and security system design for commercial and residential markets. While heading up the Security & Surveillance Division for Habitech he also assists with selling customized solutions of the entire product portfolio. He works closely with home owners, business owners and builder partners providing a consultative approach to deliver the highest level of service possible. 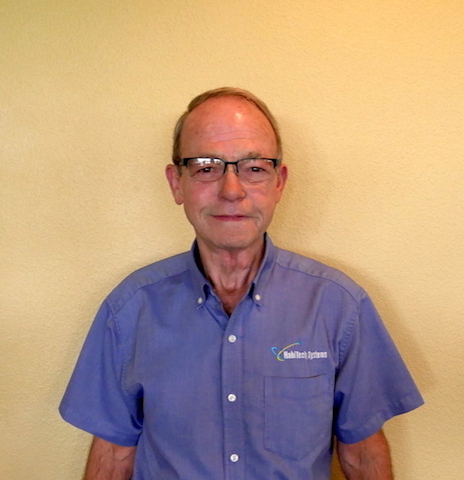 Bob St. John has served as HabiTech’s Sales and Design Consultant since 2016. Prior to joining HabiTech Systems. Bob started in Consumer Electronics at the Retail level then went on to spend 19 years within the Satellite Manufacturing/Sales Industry for two Fortune 500 Companies. Ted Elliott has been with HabiTech systems since 2004, and is currently the Operations Manager. Ted has 22 years of experience in the security, structure and audio industry. Prior to joining HabiTech Ted worked for ADT, Home Team, and several other Orlando security dealers. As Operations Manager, Ted ensures workers are ready prior to dispatching to jobsites, manages the inventory manager, optimizes technician scheduling, manages service and install techs, ensures job Superintendents and private customers are fully satisfied with services and equipment, ensures smooth operations of all service related jobs including roughs and trims, serves as liaison between builders and techs and to provide support to both parties, handles all scheduling requests, confirms builder jobs are ready for upcoming days schedule, prepares paperwork and parts for tech’s daily jobs, reviews upcoming job Green Files for accuracy & errors, provides technical support over phone and troubleshoot calls to prevent site visits if possible, performs service calls as needed, runs monthly operations meetings and prepares the agenda, reviews daily issues log, clearly defines service work as billable or not and outlines billable amounts, obtains status update from technicians at end of the day and involves upper management if significant issues arise. 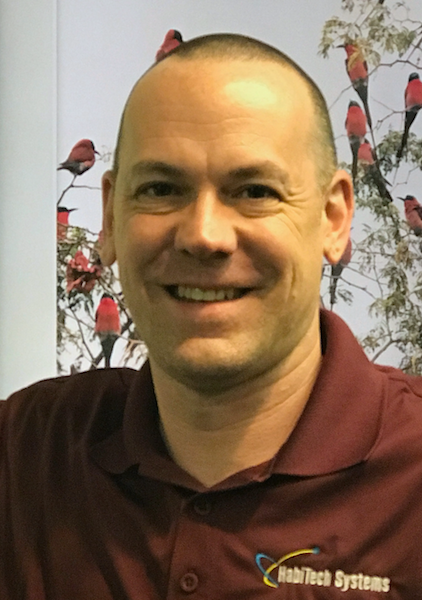 A native of North Florida, Rob has been with HabiTech since 2002. 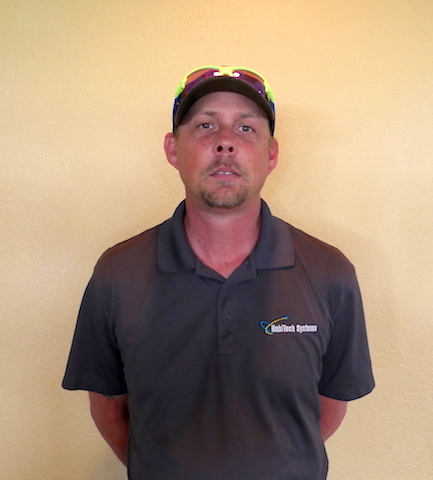 He started with HabiTech as a rough and trim installer and on account of his drive and success now serves as HabiTech’s Quality Control Manager. He is based primarily in the North Florida market. As Quality Control Manager, Rob’s main job functions include: mediating between our builders and the HabiTech Office, serving as quality control for all the jobs, properly training new HabiTech installers, project managing custom jobs, facilitating service personnel, and helping out on the field as necessary.